Have you ever caught yourself applauding at the end of a record? Such is the power of the original Badger that I was nearly moved to do so upon completing my first listen. 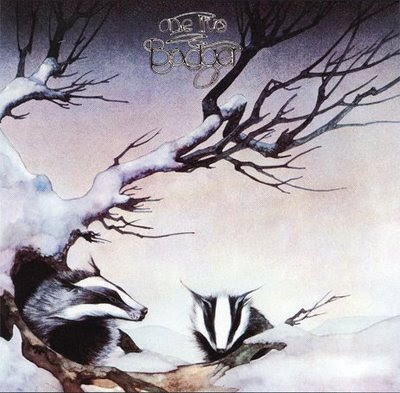 Badger was formed in 1972 by ex-Yes keyboardist Tony Kaye (after a short stint with another Yes alumnus Peter Banks’ band Flash) and bassist/vocalist David Foster (not the Canadian musician, but rather a British fellow who had played in The Warriors with Yes’ Jon Anderson and King Crimson’s Ian Wallace). They built an official line-up with the addition of Roy Dyke on drums and Brian Parrish on guitar. Although the band maintained all of the fantastic sounds that served to define most progressive rock bands of the early seventies, they also had a well-pronounced soul sound, thanks in no small part to the lyrics and the execution of the vocals. Badger managed to pen a series of powerful tunes before it came time for them to record their debut album. A short period of in-studio experimentation led them to strongly consider recording their album live on the stage, where they felt the energy of their songs would best be captured. The direct result was the recording of a single show (one opening for Yes in 1972), and the release of said recording as Badger’s debut album, One Live Badger, in 1973. The band members’ hunch was correct and the live album, produced by Yes’ Jon Anderson, was an absolute success. The pristine (for the time) recording shows off all of the band members in a fantastic light, and with no tinkering or removal of the audience. The six mighty songs were well crafted and quite suited for a live environment. Each one is catchier than the next. Kaye, who apparently left Yes due to their desire to use less traditional keyboards, blazes deftly throughout the music with his trademark organ style and also applies some synths in all the right places to give it that wonderful early seventies prog sound I mentioned earlier. Intros to “Fountain” and “Wind of Change” show these less traditional keyboards off nicely and tastefully. As a matter of fact, I believe Tony Kaye should’ve always been recorded live. If you look back through any of the Yes live recordings and focus on Tony, you’ll notice that he performs like an animal just barely tied down by the stationary nature of his instrument. One can clearly hear this energy on One Live Badger. Right on through to the end of the album’s grand closer, “On the Way Home,” (and I mean GRAND… the intro riff alone is ridiculously awesome!) the energy doesn’t let up. When the song’s delightfully simple hook finishes repeating and the music fades into a wash of audience, if you’re as big a fan of stuff like this as I am, you’ll want to damn well applaud. The album landed Badger a gig touring as an opener for Black Sabbath, something even the great Gentle Giant tried but had a great deal less luck with. I consider this album one of the greats of the time, and a powerful example of how markedly different prog can be even when conforming to a familiar sound. One Live Badger is to soul what In the Court of the Crimson King is to jazz. It is a bloody shame what happened next: most of the band had left by 1974, leaving only Kaye and drummer Roy Dyke. Upon the first listen to the band’s sophomore release, White Lady, released later that year, one will find that this is clearly not the same Badger. The band championed on One Live Badger was no more by this point, and the new Badger found itself dominated by new singer Jackie Lomax, who transformed their sound into more of a purist’s idea of soul. White Lady is a travesty for prog fans. While it’s not utterly terrible (for a soul record it’s actually fairly decent), there is just nothing progressive about the damn thing. Therefore, I would definitely not recommend the album to anyone reading this to broaden their progressive horizons. Another schism broke Badger apart shortly before the second album’s release and it only continued on for a short while before the members called it quits altogether and went their separate ways. In a genre with so many bands possessing such large and varied catalogues, a group like Badger is quite a rare happening, and they are more than deserving of a listening by your discerning ears.